What a great start for the new year 2s. This is a photo of one of our math’s sessions. 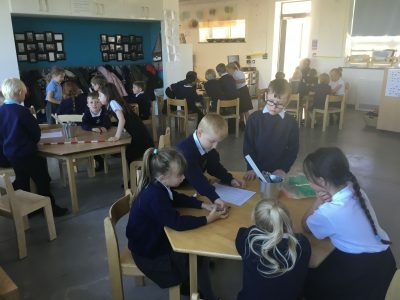 The Children are working to support each other in making sure they understand how our number system works and also how to write their digits correctly. This has resulted in nearly everyone being able to get their 3s, 7s and 9s the right way round, but we are all still struggling to make our 8s look neat! We will get there though because we know we need to focus on it and we will all just keep trying!